The Word of the Lord to you on Thursday. Answer me speedily, O Lord; My spirit fails! Do not hide Your face from me, lest I be like those who go down into the pit. 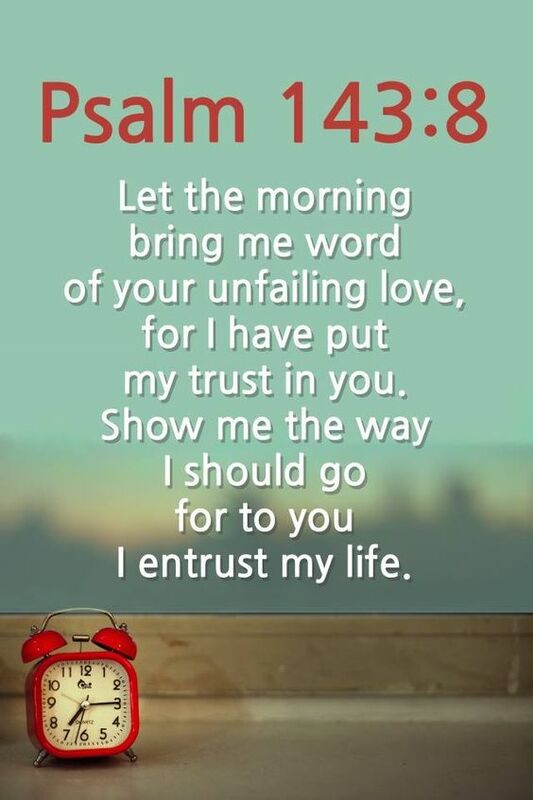 Cause me to hear Your lovingkindness in the morning, for in You do I trust; Cause me to know the way in which I should walk, for I lift up my soul to You. Thank God, it is Friday and He has given you a new Word! Relax in bed Saturday morning and meditate on this new Word. It is Sunday morning and you are blessed tremendously. Share with us the Word that God has given you this morning. Thanks be to Jesus Christ who lives in me! Any good found in me is only because of, and generated by, HIM!! Glory to God. True goodness inus can only come through the Holy Spirit. Thank you for sharing.